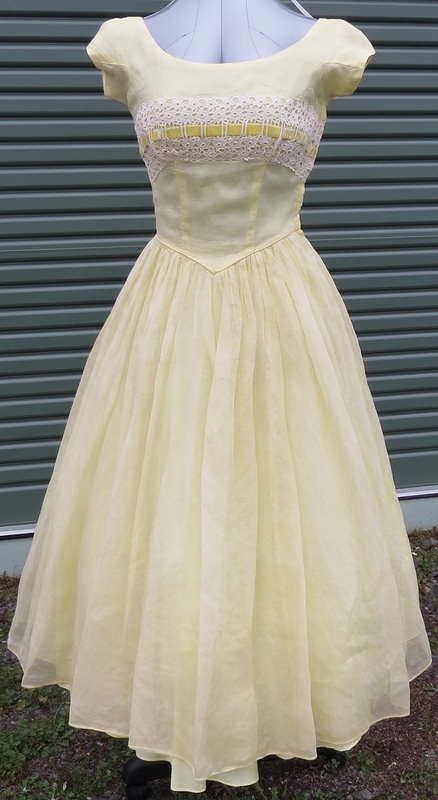 1950s full skirt (rockabilly) 3 S , M. Many have a built-in petticoat, but most would be more striking worn over a crinoline for added fullness. Original 1950s dresses. 50F10 S B 90 high waist 66, dropped waist 91. Length from high waist to hem 71cm. 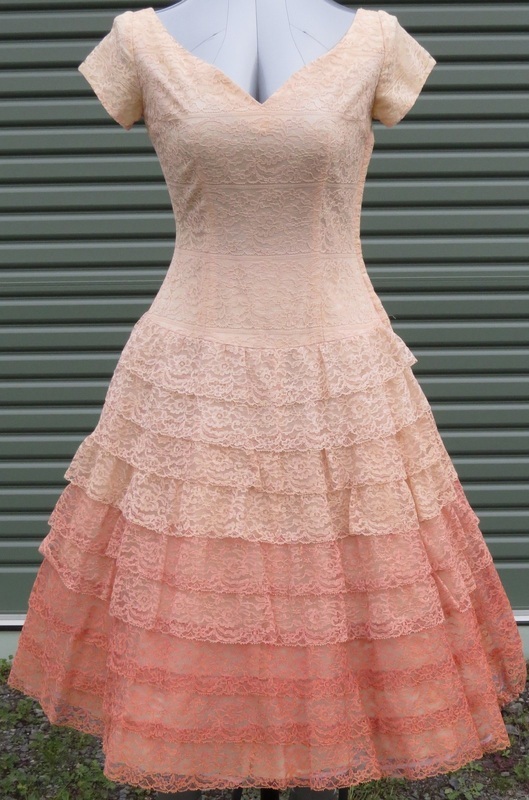 Ombre lace with tiered skirt; bodice is peach. Photographed over crinoline (not included in price). $130. 50F11 B 90, W 66, length 123cm. Photo above over crinoline (not included in price). Yellow acetate lining. $90. 50F12 S-M B 83 Empire waist 68m natural waist 68. Inbuilt net petticoat. Designer Lorrie Deb. $80. 50F14 M B 96 W 73 Length 123cm shoulder to hem. 1950s or 1960s. Soft medium-weight cotton, bodice lined. 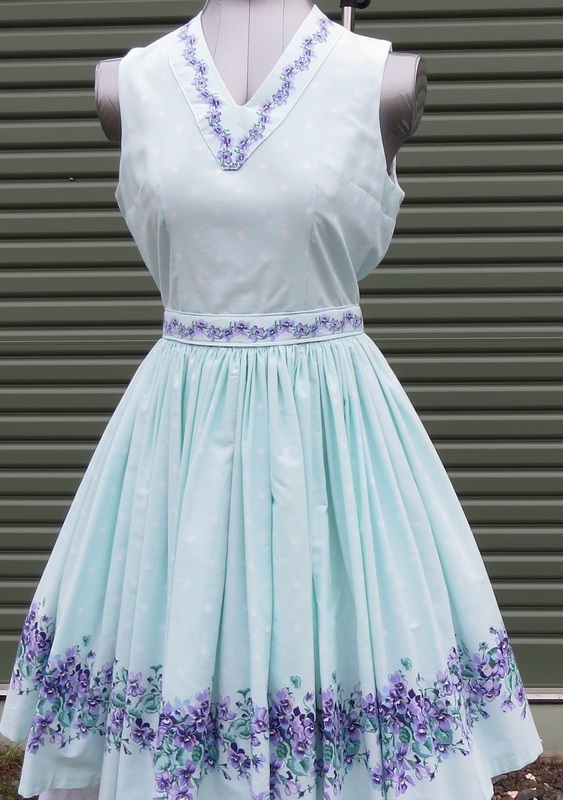 Pale green with polka dots and pansy pattern. Comes with stole in matching shade, different print. Photo over moderate petticoat (not included in price). $90.